After rumours did rounds for months, the iPhone 5S is finally coming, or at least is expected to come. September the 10th is said to be the date when the world would get to witness the successor of the iPhone 5, tentatively titled ‘iPhone 5S’, with respect to Apple’s naming strategies. As always, there’s an entire event which is to happen at the launch of this new device. Apple’s events have always been hugely popular among consumers and journalists alike, with Apple known to take an approach never seen before. As always, no one knows what specifications the device would carry, however, an improved camera and a fingerprint scanner are expected to feature in the phone’s specs sheet. Apart from the 5S phone, there have been rumours about other Apple devices have been doing rounds in media in recent months. This includes, the purported iPhone 5C, which is said to be a 99$ iPhone covered in a plastic shell, and a smartwatch, called the iWatch. 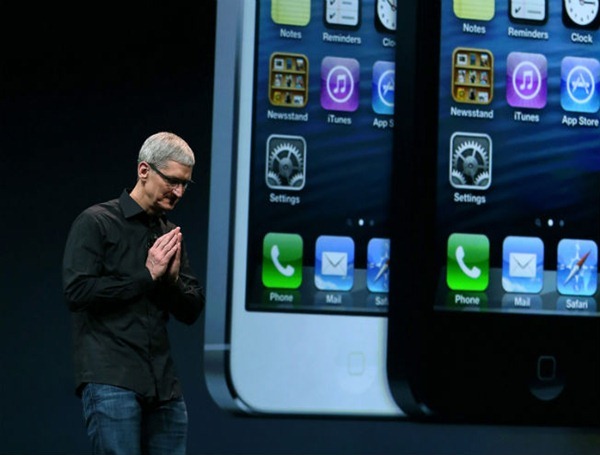 However, nothing except the original iPhone is expected to be unveiled at the event. Apple have had a rather quiet year with no major events being hosted yet, and we would imagine that they put in that time in order to prepare for this upcoming phone. As has been the case always, the iPhone will have an array of competitors in the market, with flagships from HTC, Sony, Samsung and LG being released already. However, Apple is said to have loyal fans.